COS was founded in 1976 by Dominique Lyone, the son of an Egyptian Immigrant who’s family fled to Australia after the 1967 Six Day War. Upon arrival to the country at age 13, Dom began learning the English language whilst settling into the Australian culture. 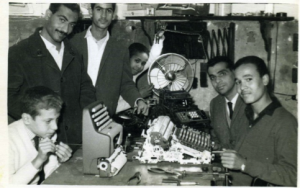 By the time he reached maturity, Dom was considering his employment prospects and soon followed his father’s footsteps into a typewriter repair business – Data Print. Dom initially worked as a typewriter mechanic but his natural leadership skills were beginning to emerge, and before long he became head of the stationery distribution business for Data Print. Attracted to the sales environment, he started selling typewriter consumables and the business began to prosper. However, after a few years Dom found the business lacked diversity and realised there was potential to widen his market into office products. He left Data Print and opened his first COS branch, gaining capital from selling his 1972 Mazda RX2. 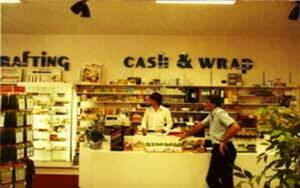 The business grew well in the first ten years through expansion into the retail market, and by the mid 1980’s two stores were opened in addition to the head office branch. During the turbulent economic time of the late 1980’s, Dom was faced with the near reality of forced closure due to financial challenges. Dom chose to negotiate a plan with financiers to trade out of difficulties. He closed the retail stores to focus on growing the B2B business, which he recognised had very different operating characteristics. The strategy was highly successful enabling COS to repay financiers in full. Dom believes this ethical stand in the 1980’s was what would herald the successful creation that COS is today. While Dom regained control of the business, many sufferers of the 1980’s financial crash and his immediate and extended family were employed. In the early 1990’s COS began a national expansion program, establishing dealer relationships with regional players in all states across Australia. This strategy enabled the national coverage COS needed to attract large corporate organisations as an alternative to the foreign owned suppliers dominating the market. As the world embraced technology with the introduction of the World Wide Web in the early 1990’s, so too did Dom take a strategic direction into Internet ordering. In March 1998 he developed the industry’s first sophisticated in-house web-based procurement system, known as COSnet,’ which today drives over 75% of the company’s sales. Today, Dom still has a hands-on role within the business and continues to lead a dynamic team of professionals with his outstanding industry knowledge and business practices. He has been a pioneer of entrepreneurial education, nurturing his passion for personal development, by teaching at the world renowned ‘Accelerated Business School for Enterpreneurs’ in which he is a Master Instructor. His ‘Money and You’ seminars are held in Australia and internationally, mentoring thousands who wish to enhance their professional and personal endeavours. COS is a top tier office products supplier with distribution centres in all Australian capitals and $100 million sales. It is also the only major home-grown, independent Australian player in a space dominated by large-scale overseas competitors.